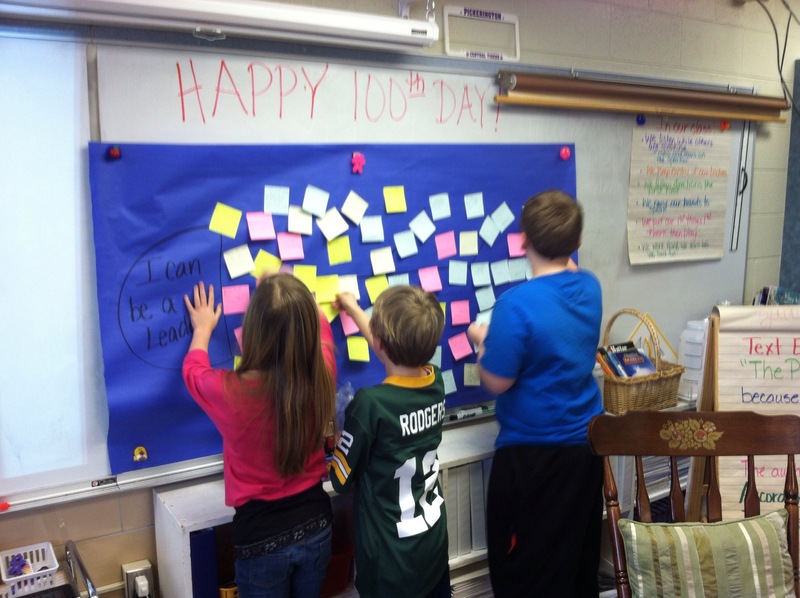 Friday was our 100th day of school! It was a great opportunity for us to reflect on the year so far, and for us to set goals for the rest of the year. When the students entered the room in the morning they were given post it notes. Each student wrote ways they could be a leaders on the post it notes. 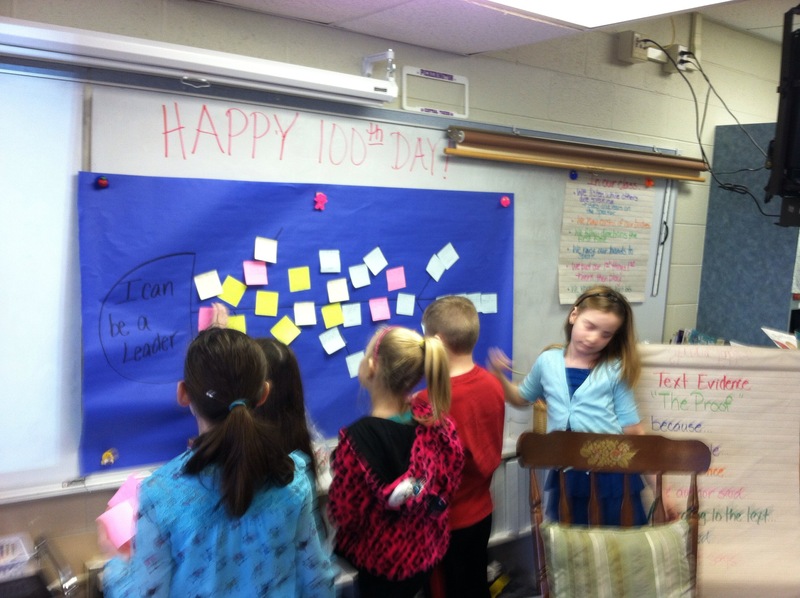 We put them together on a fishbone diagram and collected 100 ways to be leaders! 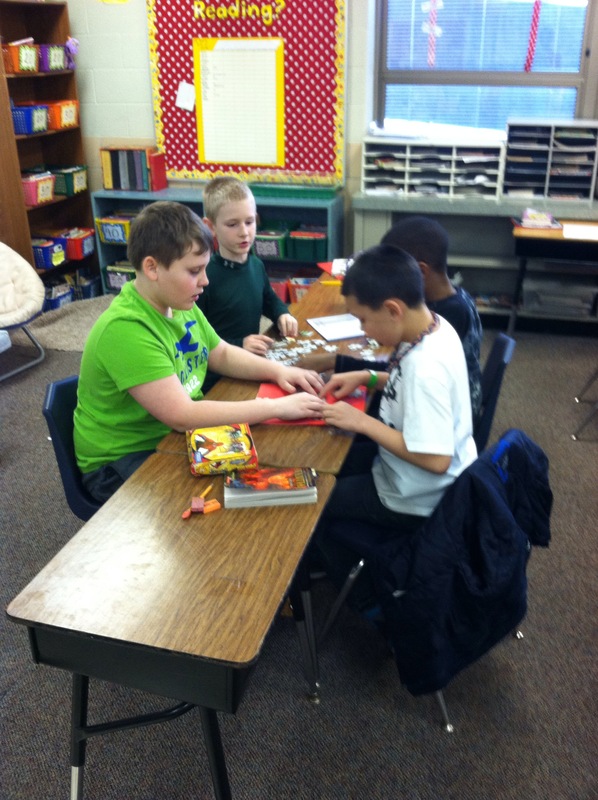 Their ideas are great, some I them had some deep thinking going on. You can see our fishbone hanging outside of the classroom. 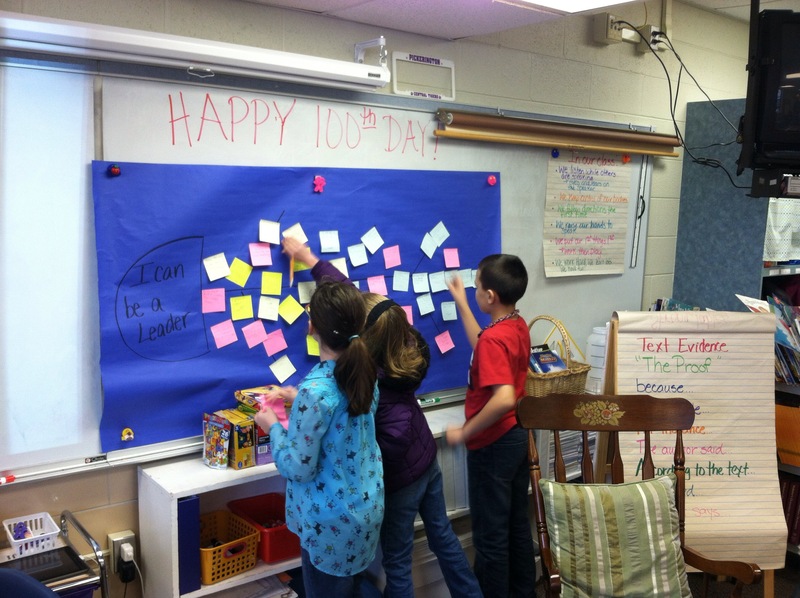 The students each completed a 100th day reflection sheet too. Each student wrote about their favorite things they have done this year, the things that were easy and hard for them, and things they liked learning. 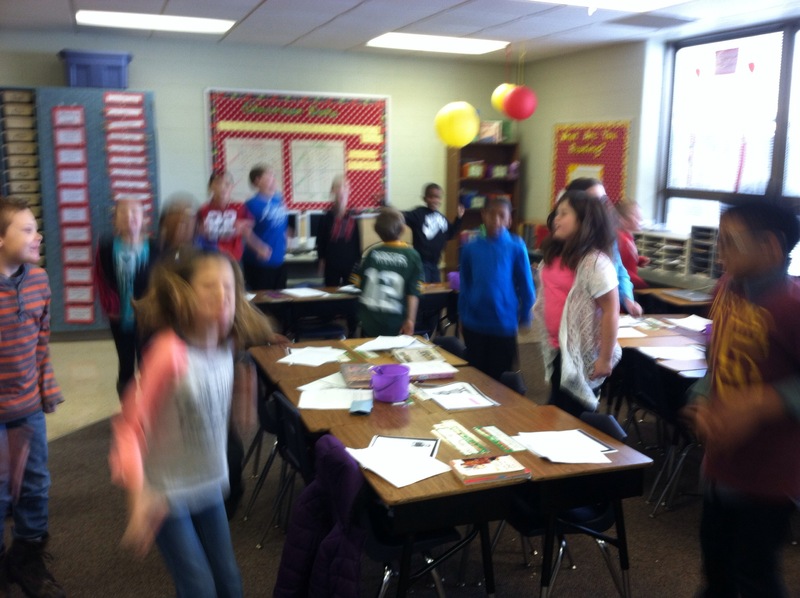 We also kept our end in mind and set goals for the remainder of the year. These papers will be kept in the victories section of our leadership notebooks and will be reviewed frequently. 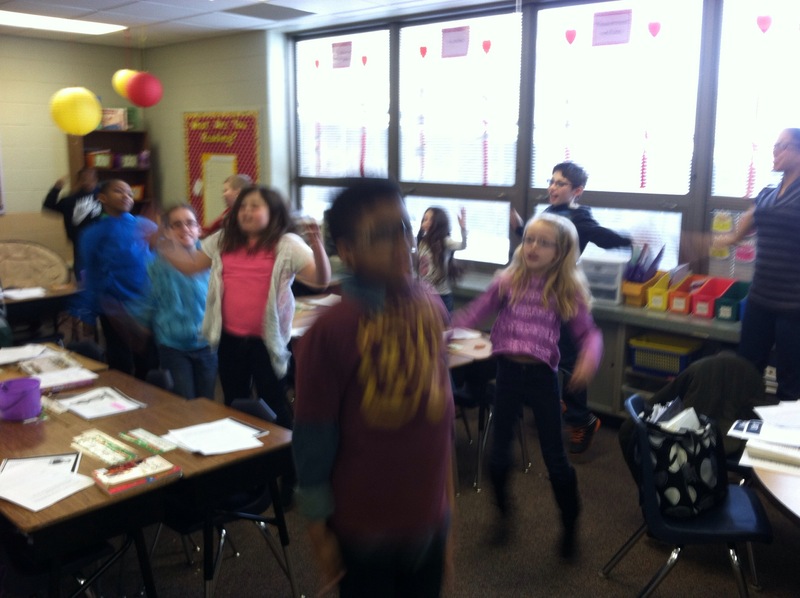 We take time each day to take care of our bodies by stretching and doing some simple exercises. 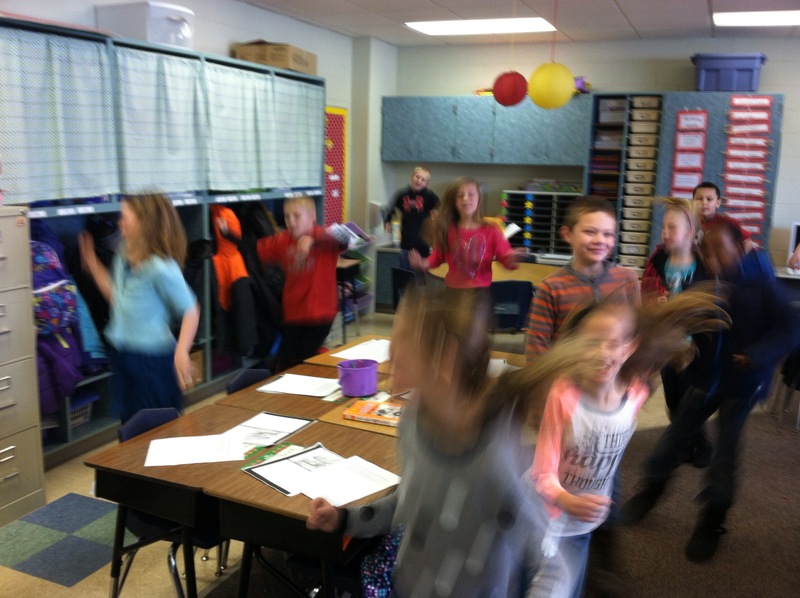 On the 100th day we did got our saws “extra sharp” and did 100 exercises! We did them in sets of 20 so we could easily keep track of how many we had done. 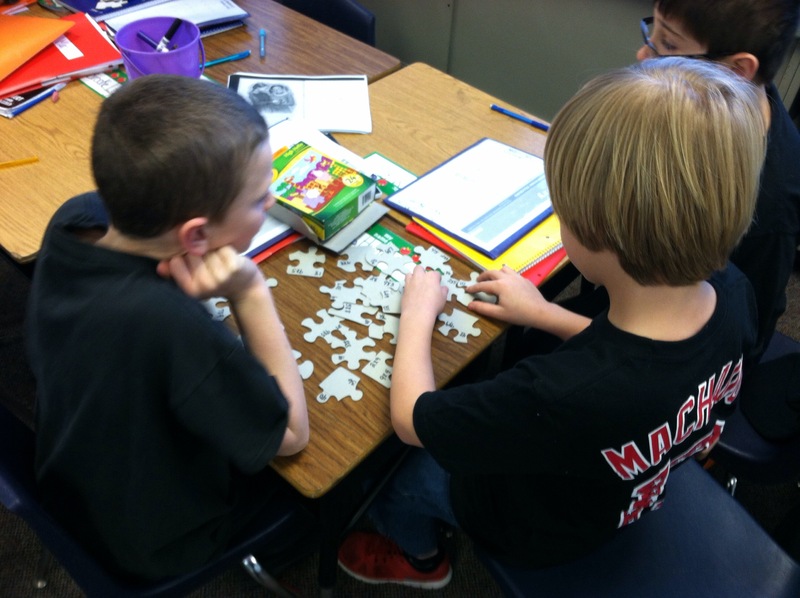 Thursday was National Puzzle Day. I think the kids in my math class thought I was a little crazy when I broke out the 24 piece puzzles and told them I had a challenge for them. Little did they know there was a catch! 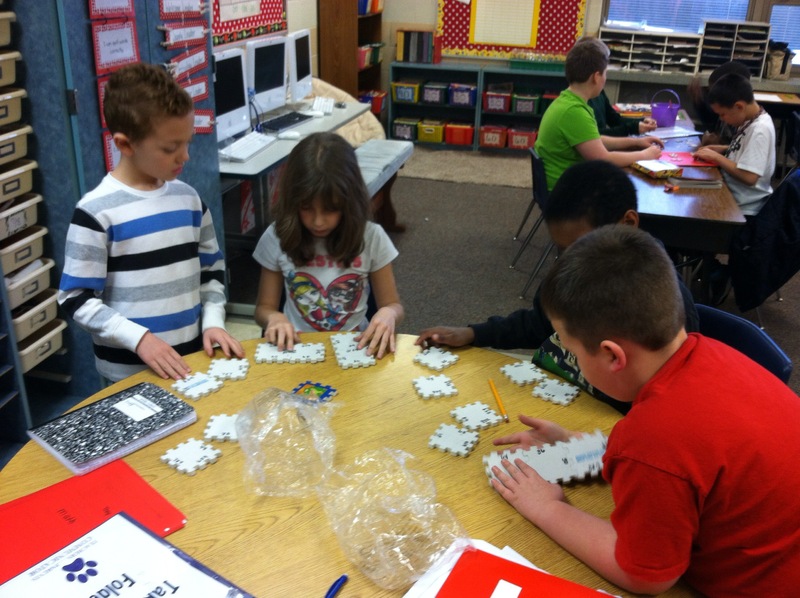 I gave them the puzzles and told them they would be completing them upside down. 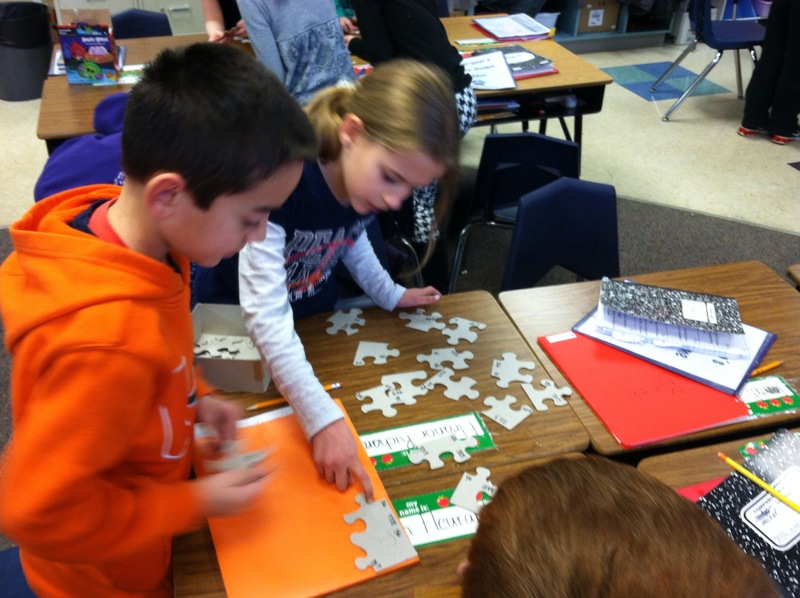 Each puzzle has math facts on the back, and in order to put the puzzle together they had to match each fact to its correct product. 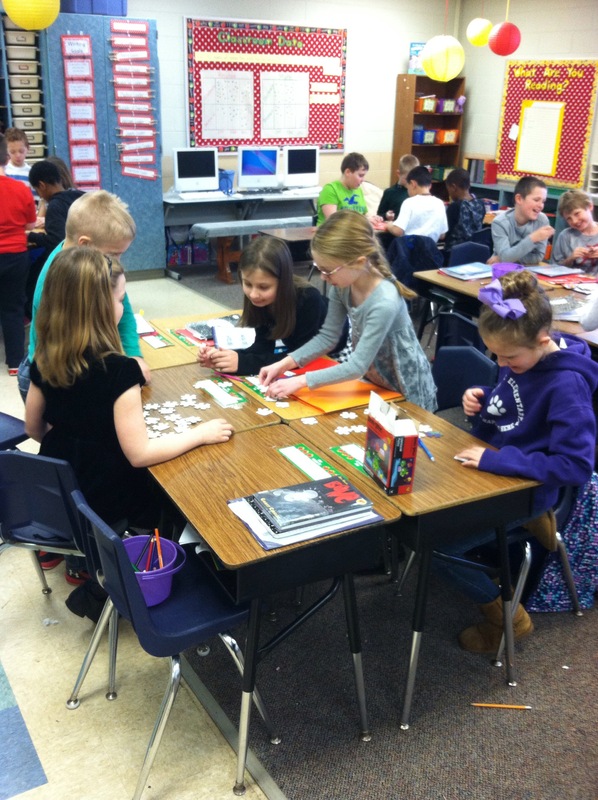 The students enjoyed the extra challenge and got some needed practice with their multiplication facts. If this was a challenge your child liked, you can easily recreate it at home. It would be great for the students to make their own too! I got my puzzles at the dollar store.